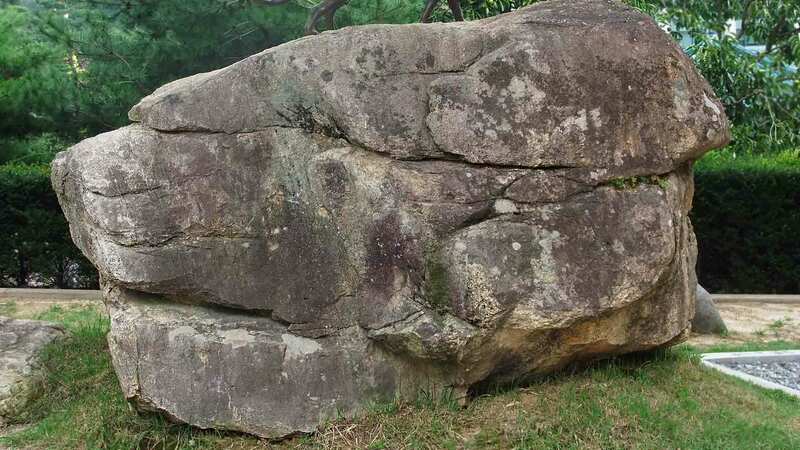 The Cheetah Rock was originally a rock that no one paid any attention to. When Pastor Jung was young, he used to climb on top of it whenever he passed by on his way to church. At that time, he didn’t know that this rock looked like the face of a cheetah. When he was paving the roads that connected Wolmyeongdong, Jungmalgeori, and Samgeori, he saw this rock again. Since he used to play on it when he was young, he decided to move it to Wolmyeongdong. Later, Pastor Jung made a cheetah statue to place on top of the rock. The cheetah statue and rock both represent a fast person. Pastor Jung placed the Cheetah Rock in the Rock Museum so that everyone who looked at it would remember to take action as quick a cheetah. Everyone, let’s strive to be people who run and dash swiftly like cheetahs!